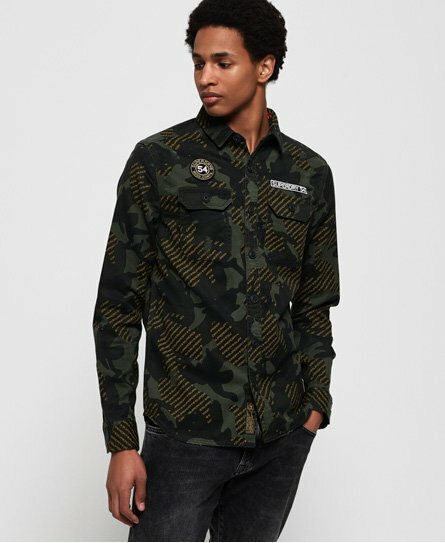 Superdry men's Rookie Repair shirt. This shirt features a classic button down fastening and two chest pockets. It also features Superdry logo patches across the chest and sleeves. Finished with a Superdry logo badge on the placket and one above the hem.